Capable of everything from vibrato-laden intimate murmurings to sermonizing at a roaring volume, the jazz organ can sometimes be strangely dispiriting - like being stuck at a bar with a non-stop talker. 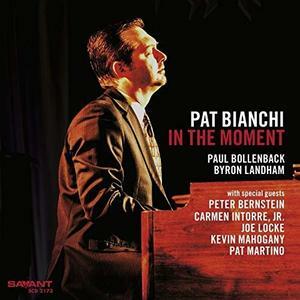 Pat Bianchi will have none of that, eschewing all the clichés and displaying the instrument's versatility with a set list that ranges from Chick Corea to Patsy Cline to Monk and Billy Eckstine. For this, Bianchi's first recording on Savant, the leader has brought along a number of friends and colleagues including Pat Martino, Joe Locke, Carmen Intorre, Jr. the late, lamented Kevin Mahogany and others making for an extra-special debut recording.